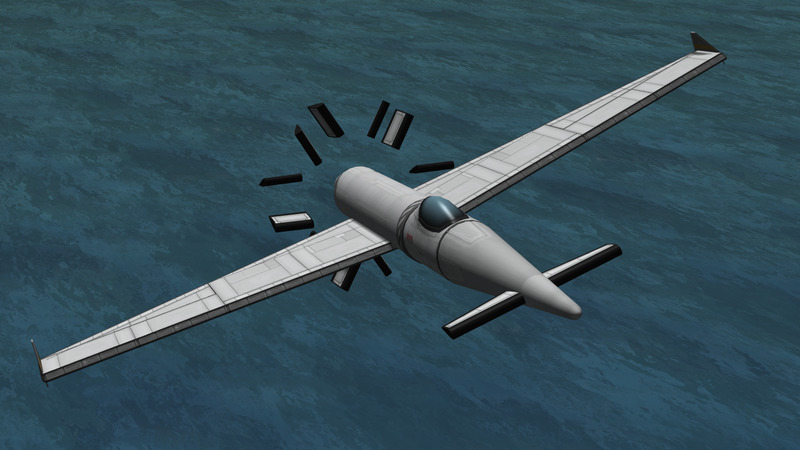 The Javelin features two contra-rotating propeller engines, allowing it to reach reasonably high speeds. It boasts a large wing area, ensuring stable flight and also allowing for exceptional manoeuvrability, though be careful not to overdo it. No vertical stabiliser because stable aerodynamics are boring. I originally built this craft in 1.4.0, in which it was much faster. 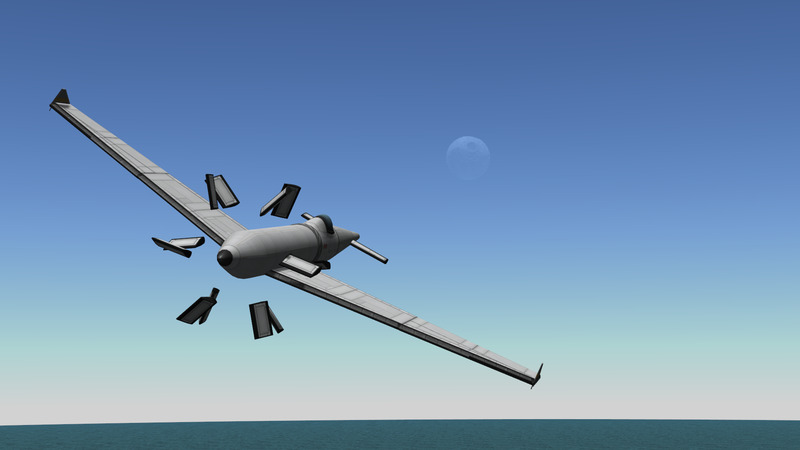 However, even in 1.4.2 it is capable of 225m/s. As of 1.4.3 it is capable of speeds in excess of 245m/s. 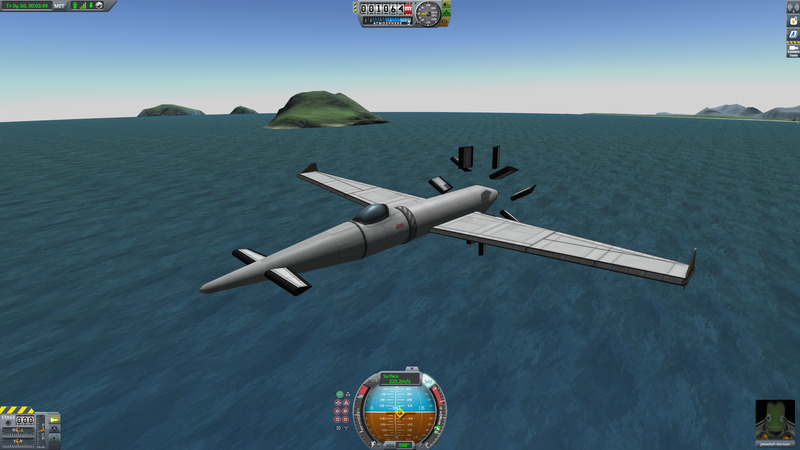 A stock aircraft called Javelin. Built with 106 of the finest parts, its root part is Mark2Cockpit.